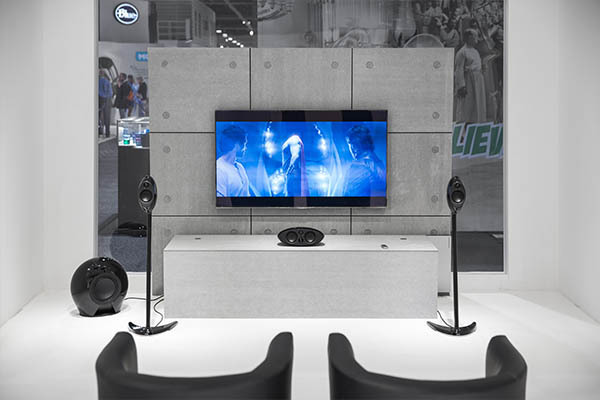 On the Consumer Electronics Show (CES) 2015 that held on January 6th to 9th in Las Vegas, Edifier displayed a number prototypes and official releases of our new products. 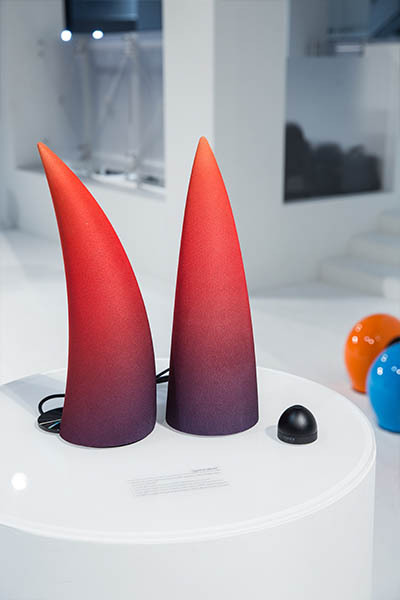 The entire Edifier floor area is decorated with colourful horn shaped speakers – the Spinnaker. Besides the classical black and burgundy colours, Spinnaker has now adapted many new looks. Customers can now choose a colour, pattern, or even a photo to be printed on their own Spinnaker°s mesh cover. It might sounds a little adventurous to have a set of high-end speakers in rainbow colours, but it is certainly a good idaea to have a set of speakers that match the colour theme of your home. 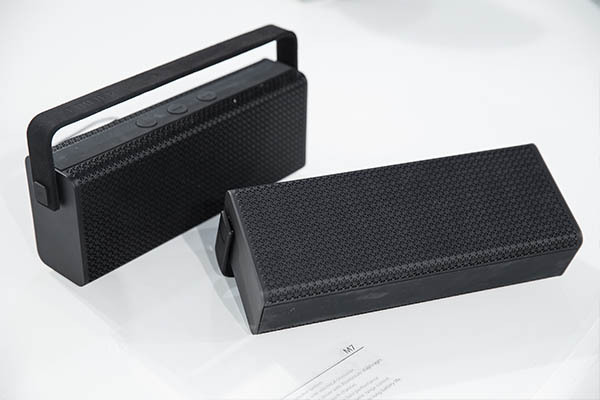 Edifier displayed multiple new portable speaker models on CES 2015. The M6 is a bigger and upgraded version of the famous M5 and M5 Mark II series. At a slight bigger size, the M6 delivers possibly the best sound amplitude and clarity for a portable boom box. For music lovers who needs even greater mobility for their music, Edifier also releases two new smaller speakers, the Kaleidoscope, and the Orb. The Kaleidoscope is a cylindrical speaker that’s no bigger than a can of coke. Despite a smaller body, it produces comparable sound to the M5, and is much louder than many products of similar size on the market. 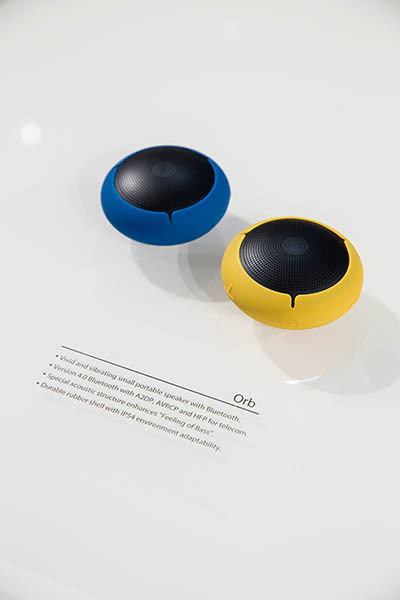 The Orb is a powerful little speaker pod that literally delivers the vibration by shaking the surface it’s put on when playing songs with heavy bass. 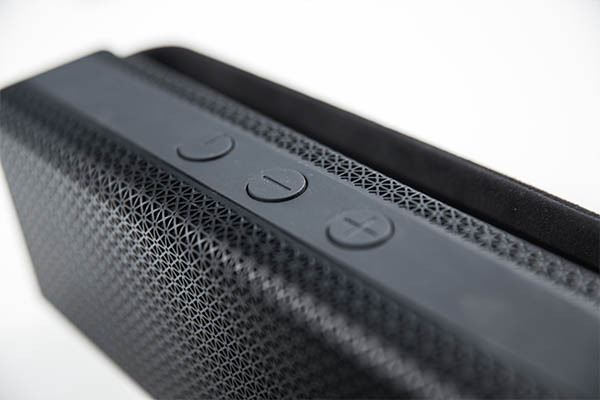 The entire Edifier portable speakers line up features Bluetooth connectivity that allows wireless control and playback from mobile devices. Although many of Edifier’s latest products are designed to work on a TV entertainment system, they decided to release a sound bar for sound enthusiasts who just love the classic look. The new sound bars will feature Apple’s airplay technology for wireless playback. 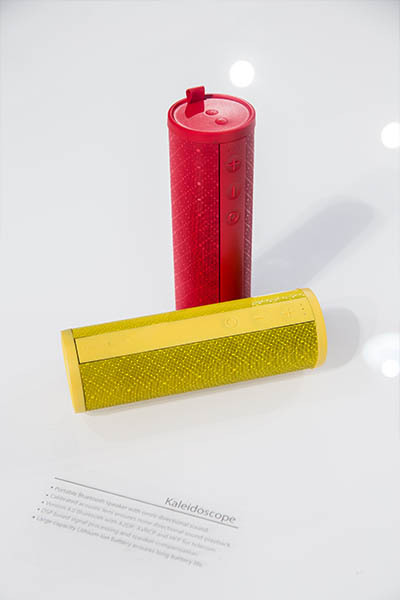 Wendong Zhang, CEO of Edifier also introduced a luxurious retro-style tube radio model that’s yet to be released. Not does it have the look of a tube radio box, it actually features a signal tube that clarifies and amplifies radio signals. That makes it a perfect companion for radio lovers at home or at work. 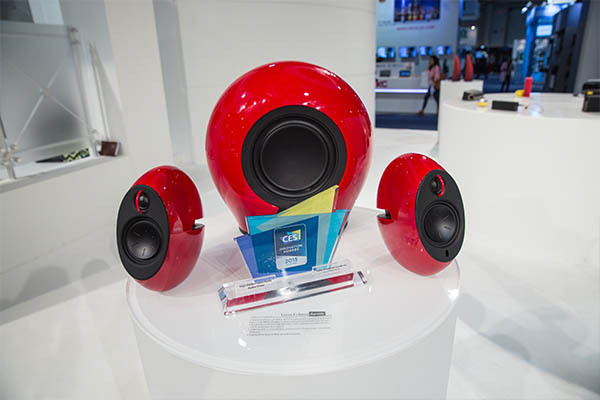 As released in Q4 2014, the 2015 CES design award winner Luna Eclipse 2.1, together with it’s elder sibling the 5.1 version of Luna Eclipse had both made their debut on CES2015. The eye catching design and fabulous sound quality makes these two systems perfect compliments to modern living rooms and home theatres. The new revised Luna Eclipse line up will all feature optical input for easier connection to TV. 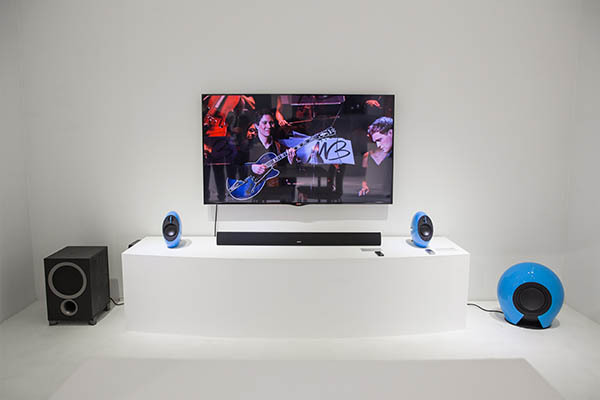 The new Luna Eclipse 5.1 surround system will leave satellites wirelessly connected which leaves them clean looks for spaces that are not pre-wired. Check back edifier.com often or subscribe to our newsletter to be the first to experience these new amazing speakers once shipping begins.